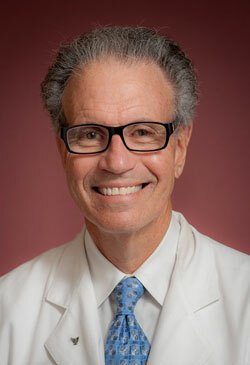 Edward D. Himot, MD, the founding partner, was born in New York and raised in Florida. He graduated with honors from the University of Florida Gainesville and received his Bachelors in Industrial Engineering. Wanting to serve the greater good, he decided to pursue a medical degree. He completed his internship and residency at Shands Teaching Hospital, also in Gainesville Florida. His fellowship at Emory University brought him to Atlanta where upon graduation in 1979, he founded Georgia Kidney Associates. Dr. Himot has four children. He resides in Marietta, Georgia with his wife and two younger sons. When he is not assisting with the Boy Scouts or coaching baseball, he enjoys reading, exercising, and golf. Dr. Himot mainly sees patients at our Marietta location.